Ruth Ann Cross 80 of Bainbridge passed from this life 8:32 am Saturday, March 16, 2019 at her home surrounded by her family. She was born July 31, 1938 in Ross County the daughter of the late Raymond and Anna Dalton Whitley. She is survived by her husband of 64 years, Earl D. Cross, whom she married November 14, 1954. She is also survived by her children, Earl David (Freida) Cross, Randy (Konnie) Cross, Linda (Greg) Benner and Teresa (Mike) Benner all of Bainbridge; 8 grandchildren; numerous great grandchildren, nieces, nephews and friends. Ruth was preceded in death by her son-in-law, Gary Hawk; five sisters and four brothers. Ruth enjoyed auctions, yard sales, gardening and watching her birds. 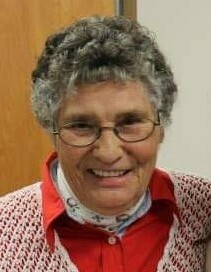 Friends may visit with Ruth’s family 11am to 1pm Wednesday, March 20, 2019 at SMITH-MOORE-EBRIGHT Funeral Home, Bainbridge with funeral service to follow officiated by Rev. Michael Whitley and Rev. Hurley Hamilton. Burial will take place in the Cynthiana Cemetery.